HFmrEF has been recently proposed as a distinct HF phenotype. How HFmrEF differs from HFrEF and HFpEF according to age remains poorly defined. We aimed to investigate age-dependent differences in heart failure with mid-range (HFmrEF) vs. preserved (HFpEF) and reduced (HFrEF) ejection fraction. 42,987 patients, 23% with HFpEF, 22% with HFmrEF and 55% with HFrEF, enrolled in the Swedish heart failure registry were studied. HFpEF prevalence strongly increased, whereas that of HFrEF strongly decreased with higher age. 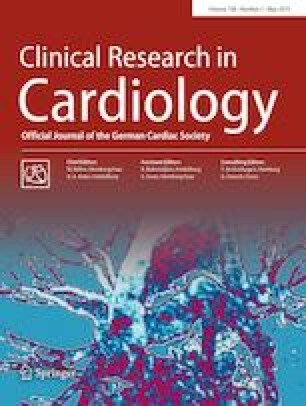 All cardiac comorbidities and most non-cardiac comorbidities increased with aging, regardless of the HF phenotype. Notably, HFmrEF resembled HFrEF for ischemic heart disease prevalence in all age groups, whereas regarding hypertension it was more similar to HFpEF in age ≥ 80 years, to HFrEF in age < 65 years and intermediate in age 65–80 years. All-cause mortality risk was higher in HFrEF vs. HFmrEF for all age categories, whereas HFmrEF vs. HFpEF reported similar risk in ≥ 80 years old patients and lower risk in < 65 and 65–80 years old patients. Predictors of mortality were more likely cardiac comorbidities in HFrEF but more likely non-cardiac comorbidities in HFpEF and HFmrEF with < 65 years. Differences among HF phenotypes for comorbidities were less pronounced in the other age categories. HFmrEF appeared as an intermediate phenotype between HFpEF and HFrEF, but for some characteristics such as ischemic heart disease more similar to HFrEF. With aging, HFmrEF resembled more HFpEF. Prognosis was similar in HFmrEF vs. HFpEF and better than in HFrEF. Xiaojing Chen, Gianluigi Savarese equally contributed as first author. Lars H. Lund, Michael Fu equally contributed as last author. The online version of this article ( https://doi.org/10.1007/s00392-019-01477-z) contains supplementary material, which is available to authorized users. This study is supported by the Swedish Heart–Lung Foundation, the Swedish agreement between the government and the county councils concerning economic support for providing an infrastructure for research and education of doctors (ALF) and the Regional Development Fund, Västra Götaland County, Sweden (FOU-VGR). Xiaojing Chen: none. Gianluigi Savarese: none relevant for the present work. Unrelated to the present work: Research funding from the Italian Society of Cardiology on behalf of MSD Italia-Merck Sharp & Dohme Corporation; travel grants from Heart and Lung Foundation. Ulf Dahlström: none. Lars H. Lund: research grants to author’s institution: AstraZeneca, Novartis, Boston Scientiifc; speaker’s honoraria: AstraZeneca, Novartis, StJude, Merck; consulting honoraria: AstraZeneca, Novartis, Sanofi, Bayer, Vifor Pharma, Relypsa, Merck, HeartWare. Micheal Fu: none relevant for the present work. Unrelated to the present work: research funding and/or honoraria from AstraZeneca, Novartis, TRIOMED, and SERVIER.